These are challenging times for the Indian armed forces. The soldiers who are capable of facing and overcoming any existing and emerging security threat, including a two-and-a-half-front war, now find themselves facing a battle they are not trained into — a threat from within, from the politicians. 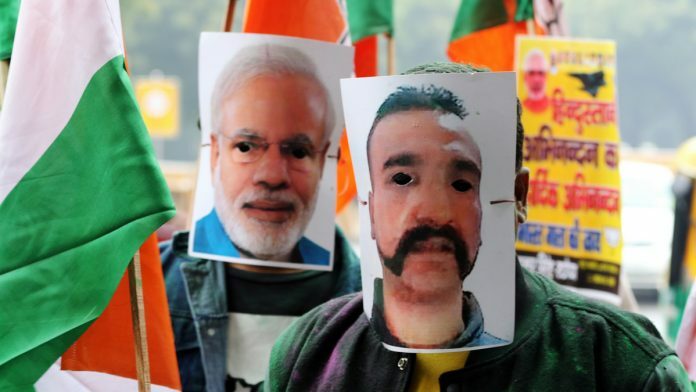 Recently, an election campaign banner of the ruling Bharatiya Janata Party (BJP) prominently displayed the photograph of Prime Minister Narendra Modi alongside the gallant air warrior Wing Commander Abhinandan Varthaman, who shot down a Pakistani F-16 jet. The soldier similarly found place in the Aam Aadmi Party (AAP)’s banner, while senior Congress leaders, not wanting to be left behind, did not lose much time in doubting the impact and efficacy of the air strikes on the Jaish-e-Mohammed camp at Balakot inside Pakistan on 26 February. Against their will and without their consent, the armed forces have been dragged into the political discourse by India’s political class, after being previously degraded by them with the status equivalence move. Post-surgical strike 2.O, and the events thereafter, politicisation of the apolitical Indian armed forces has gained momentum. Political parties across the board have joined the race to garner votes by exploiting the public sentiment, with utter disregard of the implications. This trend, if not arrested, will be detrimental to the effectiveness and efficacy of the armed forces. Given the politically-charged environment with the world’s largest democratic process having been kicked off, it remains to be seen to what extent the political parties will stoop in dragging the soldiers, sailors and air warriors — both living and martyred — in their battle for the ballot. There is no denying the fact that PM Modi-led NDA government had demonstrated an unprecedented politico-military will in carrying out surgical strikes — first in Pakistan-Occupied Kashmir, and now inside Pakistan. The September 2016 surgical strike, after the Uri attack, triggered the interest and imagination of the nation. Its success was exploited by the BJP in the assembly elections in Uttar Pradesh and Uttarakhand in early 2017. This exploitation was understandable to an extent as Modi had staked a fair amount of political capital in carrying out the surgical strike. The election campaign posters displayed soldiers in uniform, which again was unprecedented, and led to a race among politicians of all shades and stature joining the bandwagon. Once started, there were of course no qualms among the political parties to exploit the sacrifices of the soldiers, at times making a mockery of the last rites of a martyr, wherein more than a few unashamedly used the solemn occasion to their advantage without paying any heed to the pain and anguish of the next of kin. This was more pronounced after the Pulwama terror attack where 40 CRPF personnel were martyred. Politicians seem to have realised the value of the Indian armed forces in furthering their political careers at no costs to themselves, but with major ramifications for the armed forces. The Indian armed forces are by far one of the most battle-hardened and combat-rich forces in the world. They are also apolitical, competent, committed, courageous and secular. Politics has always been a big no among the armed forces. One of the first diktat given to a young officer on joining the service is that there are four topics on which discussions will be a taboo in the messes — politics, movies, women and finances. Fortunately, for the better part of the 70 years, the Indian armed forces have remained untouched, insulated and isolated in their cantonments. This in itself has been a major factor contributing to their ethos, character and effectiveness. On the other hand, politics is known to be divisive, based on caste, creed, religion and region. It was heartening to see all parties endorsing and supporting the 26 February air strikes at Balakot. But the maturity shown was short-lived as within days, political leaders were busy getting involved in verbal duels — the politicians of the ruling BJP claiming a huge number of terrorists having been killed, and the opposition parties demanding evidence, with some doubting, the efficacy of the precision strike, much to the delight of our adversaries and the international community. The occasion required all the parties to speak in one voice but then our politicians do not look beyond the immediate vote. Also read: TALK POINT: Should Indian military chiefs step out of their professional jurisdiction and talk about politics and diplomacy? The next nine weeks will be the most testing times. And if not checked, the armed forces will have to take a hard look on how to retain their apolitical ethos. This will be difficult as soldiers are sensitive and simple, easily swayed by opinions. Compounding the complexities is an easy and constant access to the news media and social media platforms. This is an appeal to all political parties to leave the armed forces alone and fight their own battles. Fortunately, the Election Commission has issued an advisory, asking the political parties to desist from using photographs of defence personnel as part of their election propaganda. Pray and hope that sanity prevails and the armed forces are left to do what they are mandated to and are best at – ensuring national security. We owe it to the nation. The author was former DGMO and Colonel of the Para regiment. He is currently the Director of CENJOWS – the center of joint warfare studies, the official think tank of the tri services. The Armed forces are being exploited since 1947. They are punching bags, denied the right to strike, denied the right to form unions and denied the right to collective bargaining.. It happens only in India where the ruling class and the defenders of national integrity are different breed. That is how I don’t think the people can name five politicians whose son or son in law is a soldier. Result while the majority sell the national interest if it suits them, some sell patriotism. Unscrupulous exploitation and simultaneous degradation of our soldiers is at its worst. Publicly their suffering due poor weapon is branded as Shaurya, privately every effort including misleading the Supreme Court is put to deny the soldier his due. Our generals are picking fast the art of prostration. Only way ahead is political awareness amongst the soldiers and adopting strikes, unions and collective bargaining as a tool to get compatible weapons and matching compensation. Let the soldier awaken and be politically aware and active. With them is the last hope of saving the country and democracy. .. Col RK Singh, vetran. Bringing Politics in Military operations is a dangerous start. It may be directed for consumption of their target audience, but it surely leaves men in uniform in an awkward position.. This nuisance was started by the prime minister just to gain political dividends. Wondering why retired armed forces generals are tongue tight over this issue. Robbing the valor and sacrifices of our committed armed forces for few thousand votes is an unpardonable sin. Very pertinent. Let not political parties mess up with the army. And when it comes to saving our sovereignty there should be no double opinion. Hope good sense prevails. Very well articulated thoughts. This nuisance needs to be nipped in the bud. first of all..nowhere did PM Modi pose with Braveheart Abhinandan and asked vote..
it was the public who made posters of MODI and sri Abhinandan…as they were proud of our warriors bravery and proud that this MODI led govt..gave full freedom to the defence to take revenge against the cowardly act of terrorists…if someone thinks surgical strike will help MODI govt..how come BJP lost recently in MP and Rajasthan even after surgical strike 1…one should understand that it’s the emotion of the general public that such banners are result. atleast now people feel there is a govt which will not tie armed forces hands unlike previous govt which kept quiet even when soldiers were kidnapped beheaded by the neighbours..
My dear Sir, Modi should have given clear instructions to his party people not to use Military name in the political campaigns. The President of BJP has also used. You are talking as if only Modi is BJP and BJP is Modi. What Sardar, Gandhi, Jinnah or Nehru said means nothing today. Hindustan was to be managed and controlled by Hindus. Pakistan has almost Hinduism out of India and Muslims control and run their lives like they own India. Her is what would be fair. They think it is how it should be in Hindu Kashmir. There is no doubt that the Govt is using the armed forces for political purposes and not national security. The Balakot body count narrative and the concomitant ‘gaddar’ jibes for those (including families of jawans killed) who are asking for proof, is a red herring created most prominently by Amit Shah’s 250+ claim without any evidence, however painful it may sound. What is being cleverly deflected from public attention is that the Pak Army, the architect of terror strikes, has gone wholly unpunished because of the Govt’s clear directive to IAF that the Pak Army must not be hit at all. How ridiculous this is when we all know that the terrorist have been financed, armed, trained, and infiltrated by Pak Army to kill thousands of our jawans including the 41 CRPF recently martyred. Yet because of Govt’s directive we have not inflicted any loss on the Pak Army. How r we going to fight terror unless we impose costs on the Pak Army? Why is the media not asking this question? Imposing costs on Pak Army does not involve nuclear exchange because they need not cross the Pak ‘nuclear red lines’ which are: occupation of large Pak territory; destruction or massive losses of Pak Armed Forces; strangulating economic blockade; major political destabilisation of Pakistan as a political entity; use of weapons of mass destruction against Pakistan. We are seeking refuge behind Pak nuclear threat to justify avoidance of military confrontation. We have shied away from turning the heat on Pak military, and till we do that the tap of terror will remain open. With Balakot all we have achieved is chest thumping. It’s not a war against terror. It’s a war of perception to suit political propaganda , not national security. And media has declared Modi the winner. Till the next terrorist strike. Unfortunately the Prime Minster of the country is the worst culprit in exploiting the armed forces for political purposes.The EC’s general letter to political parties not to use martyrs pictures in election rally is welcomed but should have been written to PM directly first because he was the first to use it in election rally. Thank you sir for writing this column. Both sides are equally guilty and the worst part of it is that they aren’t ashamed in doing this. Most of soldiers at lower ranks come from rural background with basic education qualifications. Politicians are trying to exploit their emotions. It should be stopped immediately. The senior leadership of the armed forces must be aware of emerging trends. It is well positioned to convey these concerns to the political executive.